1. The first tip you need to know, and you would think this wouldn’t need to be said, but it does: always hold on to your deuces. Some players try to get too cute and throw them back in, in the hopes that they’ll get more than one, even though you already have one and should just try to add to it. Many have a problem with making the game of Four Deuces Wild far more complicated than it needs to be and that is when you can get in trouble. Any time you get a deuce, keep it, no ifs, ands or buts. If you get four deuces, well, you’re off to quite a good start and it’s simply a case of putting together the best hand you can. 2. Pairs are going to be the foundation of whatever you do in Four Deuces Wild. If you have a deuce in your hand, you’re going to have a pair, no matter what, so now it is a matter of deciding to sit on your pair of 7s, for example, or is it worth it to try and make it a three of a kind, or do you want those two Kings? This is where you can go to the internet and find countless tables for figuring out what is the right thing to do in that case, although ultimately, you’re probably just going to go with your gut and on a hunch, which why the casino will always have the edge over the player. But that is what you get when you’re playing cards. 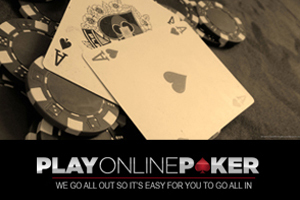 So remember to check the poker tournament rules when you play and remember these tips to guide you!